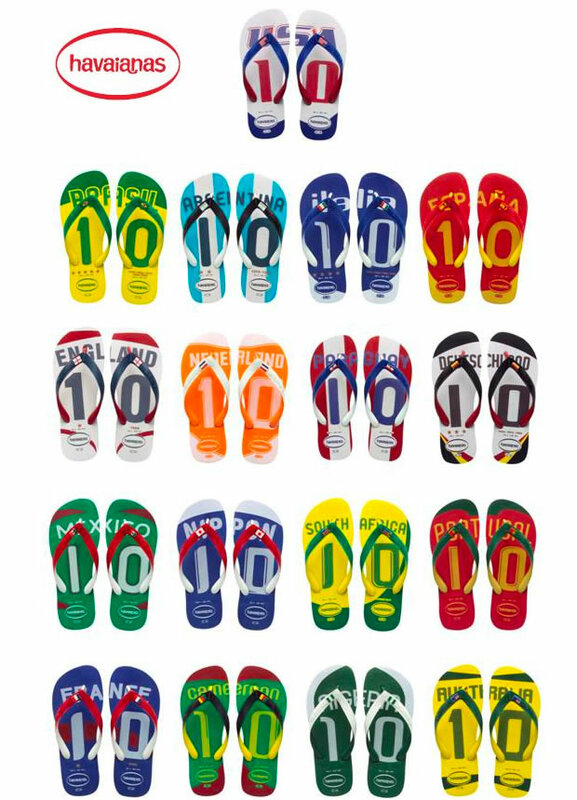 With the 2010 FIFA World Cup coming up this June, Havaianas has introduced a collection of Limited Edition 2010 World Cup-inspired flip flops to commemorate the 19th World Cup tournament in South Africa. 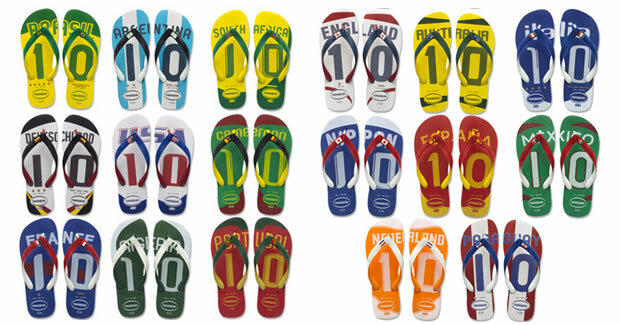 There will be 17 teams available in the Havaianas 2010 collection shown below and available for both men and women, retailing for $24. HAVAIANAS flip flops are the little affordable luxury that that never goes out of style. Designed and manufactured in Brazil, the ultra-high quality and comfort of Havaianas is due to a special rubber recipe that makes the sandals feel supple and soft, yet highly durable. The line is characterized by a vast variety of chic colors, styles, and prints that will add flair to any outfit and indulge your feet.